Ground Improvement is the stabilization of soils to increase their bearing capacity, provide stability, control seepage, and provide liquefaction resistance. Rigid inclusions are frequently used for soil stabilization when a load is being transferred through very soft soils to stiffer soil or rock, thereby increasing load-carrying capacity and reducing compressibility of the poor soils. 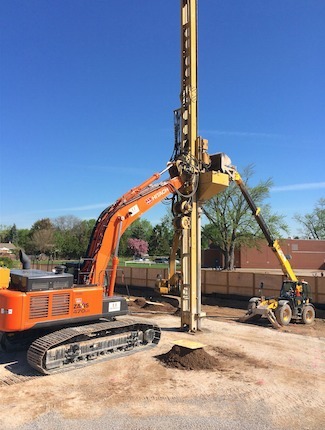 Piling systems are utilized to create solid foundations within a wide range of problem soils. Piling systems can be precast to exacting specifications with significant cost savings. Creating slope stability is vital in avoiding future geotechnical catastrophes. Investing in slope stability systems is undoubtedly one of the wisest decisions a company can make.